Once you have migrated and made Australia your permanent home, the Australian Taxation Office (ATO) considers you an Australian resident for tax purposes. You'll need to declare the income you earn from not only your Australian employer, but also possibly from anywhere in the world. As a permanent resident, you'll be entitled to claim benefits such as the tax-free threshold, tax offsets, and generally, lower tax rates than a foreign resident. Generally, you will not be taxed on the money that you bring with you to Australia, but may very well be taxed on interest earned in an Australian bank account. It is advisable that you immediately obtain a Tax File Number (TFN), which is an important part of your tax and superannuation records. If you don't have a TFN, you'll pay more tax, you won't be able to apply for any government benefits or lodge your tax return electronically, nor will you be able to apply for an Australian Business Number (ABN). 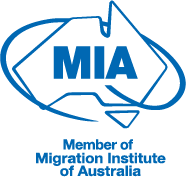 To avoid any pitfalls, it is important as a new migrant that you have correct and proper advice regarding your taxation obligations at the very start of your relocation journey. Pathway's team offers sound advice on your taxation obligations as to monies earned abroad and locally. We can also recommend qualified accountants and other financial professionals to assist you and your Australian business in claiming any benefits you are entitled to. For assistance with your taxation concerns, or any other general relocation issues, contact our friendly team to arrange a consultation. Our newly signed legal and migration clients will receive their first 30 minutes on this and other relocation concerns for free.